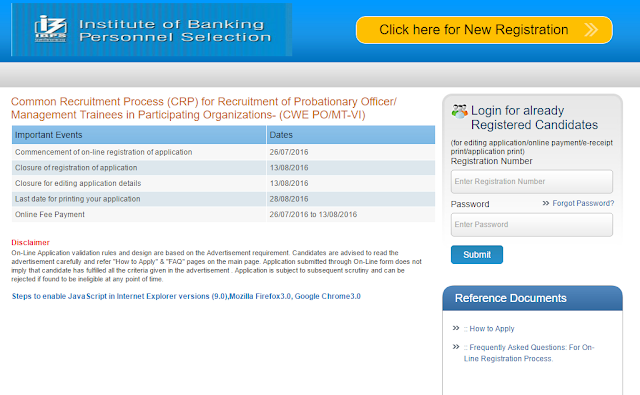 IBPS has activated the link for application / registration for CWE PO/MT - VI. Click on the link provided below to apply for same. Click Here to know Frequently asked Questions for online registration process.